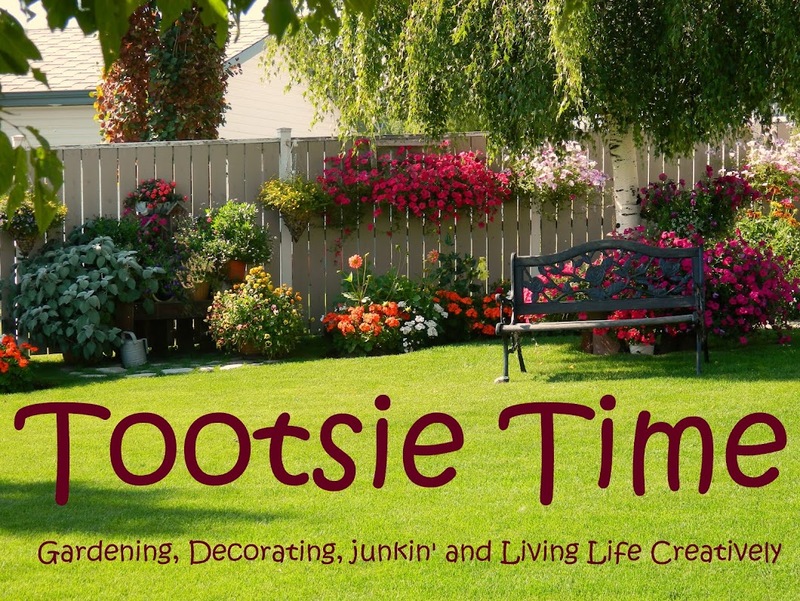 Tootsie Time: what? when? Where? who Me? what? when? Where? who Me? Many many times, I have been asked "exactly what do you plant?" "which flowers are your favorite?" "What is in that pot?" Also known as the foss flower or thistle flower. Likes full sun-except in areas where hot summer sun is an issue....in this case part shade is best. Pinching out tips and removing withered blooms will keep this plant compact and extend it's flowering season. 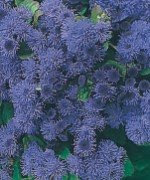 Ageratum comes in several colors, but the color shown is my favorite. This is an excellent border or edging plant as it is short. Grows to about 6-8 inches tall. Always check the label on this plant, as there is a variety that is not a dwarf. That one will grow to about 2 1/2 feet. This flower is an absolute favorite of mine. 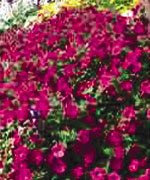 It likes full sun to partial shade, can be used in hanging baskets or as a border. 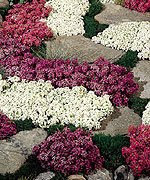 If you plant it as a border it will spread out and mound nicely at about 3 inches tall and about 8 inches wide. ( I tend to plant closer than 8 inches so as to avoid a space in between plants.) 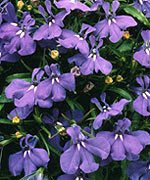 If you plant it in a hanging basket or pot it will flow beautifully out of the pot. It has a sweet smell and it comes in a variety of colors such as white, red, purple, yellow, or a mixture of several. The large seeded banana is a fast growing and tropical type plant that can be used as a large addition to a planter, or as a house plant. It will grow 2-3 feet the first year, and if given enough light and a large enough pot, 4-5 feet by the second. It likes full sun in a cooler climate, but prefers partial shade where it is hot. It is easily wintered in a brightly lit room. With banana you can control the size of the plant, simply by the size of the pot you use. The larger the pot, the larger the plant will grow. Lower leaves on this plant will naturally yellow and die off, simply cut them off. Be sure to always keep the soil moist, water when dry or you will encounter problems. Also known as Million Bells. This plant is appropriately nicknamed as it sports millions of small petunia-like flowers all over its bushy, trailing branches. Calibrachoa likes full sun to part shade, and is easy to care for. excellent in hanging baskets, and is available in many different colors. 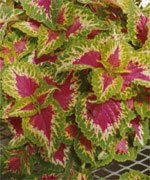 Coleus is a beautiful foliage plant. It can survive in full sun, if kept moist, but prefers light shade. If you left it in the sun, its colorful leaves will not be as dark. It fades in too much sun. Pinch plant back at growing tip to encourage a bushy growth and remove flowers as soon as they are forming. Coleus is also a good house plant. It will grow 8-10 inches tall. Dahlias can grow from one to eight feet tall. The shorter varieties are fairly compact plants and they are prolific bloomers. They require frequent removal of the spent flowers to keep the plant attractive. This plant will bloom non stop form June until frost. They like full sun to partial shade. Too much shade will cause a leggy appearance to the plant. The Purple Bean Vine is a tropical vine that produces blue-green leaves and fragrant purple pea like flowers. This plant is heat tolerant and may be planted against a south wall. I have had better luck with it in a pot and in a lightly shaded area. 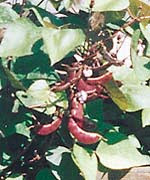 After this plant blooms the flowers will produce lovely purple pods that resemble peas. Because this is a vine, you will need to provide support for it to climb on. I love using this plant. It is easy to grow, and very showy. This is a very pretty foliage plant. Having it mixed in among your flowers will help make the color of the blooms pop. It grows to about 8 inches tall, and loves full sun. 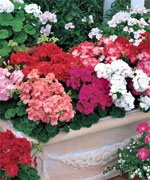 It also makes a great border plant for those beds that have bigger flowers such as geranium or marigold. 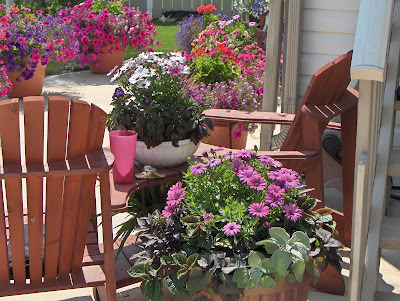 Just love the bright colors that Geraniums have to offer! They come in lots of colors and grow to about 8-12 inches tall. I grow them in full sun or partial shade. They require some dead heading (removal of spent flowers) to keep them looking nice, but the effort will be well worth it! Heliotope is a very pretty plant. The dark green leaves and the beautiful purple flowers are a welcome addition to any garden . 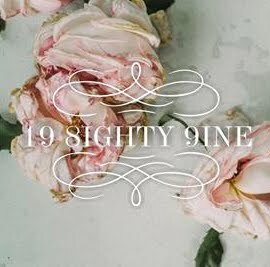 The most wonderful characteristic is the smell of the flowers. They smell like vanilla or cherry pie! This plant likes cooler temperatures in full sun or partial shade. It will grow to about 12 inches tall. Pinching back will promote bushier growth. I have to use caution with this plant, as my dog likes the smell and will nibble on it. 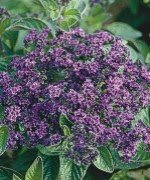 Heliotrope is poisonous to pets! Striking, large balls of white or pink are the most well known characteristics of this plant. Giving them the correct conditions, the blossoms can even turn blue! This plant is a shade lover....never a full sun plant. It loves the cooler conditions that the shade will provide. Deep shade may be too dark. Hydrangea needs to be kept moist at all times, which means vigilant watering. Many of these plants will grow to about 12 inches. Impatiens like some full sun in cooler areas, but thrive in partial shade. 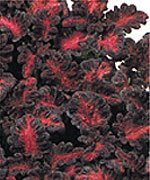 They come in dozens of colors and are a nice low growing plant. They will reach a height of about 6-8 inches. 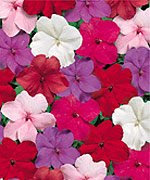 There are many different varieties of Impatiens. Some are known as Bizzy Lizzy....and are used as a houseplant. They are easily grown , but need to be watered daily. Lavatera is a very pretty addition to your garden. It is a tall plant that should be planted at the back of your bed. It will grow from 1-7 feet tall. Lavatera loves full sun. This plant comes in many colors but the most common is pink. Malva is a beautiful plant for the garden. It Will grow from 1-7 feet. 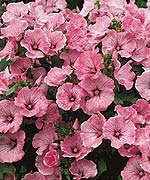 Malva is directly related to the Lavatera that we discussed earlier. 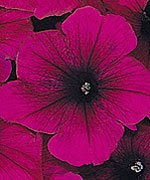 Malva is a bushier branching and aggressive flowering gem for any garden. This plant loves full sun, and is very easy to grow. May re-seed itself the following season. Marigold Marigolds are one plant that needs no introduction. They come in a variety of colors and types. 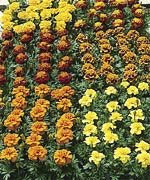 Marigolds love full sun but will tolerate partial shade. This plant will bloom profusely for the full season. My personal favorite characteristic of this plant is that cats do not really like the smell and therefore will stay away from them. I have also heard that deer do not like them either. They will grow from 8-10 inches tall and make a welcome addition to any border or garden. Morning Glory is a climbing plant. This vine loves full sun and will need to have support to climb on. Morning Glory will flower full season. They close their flowers when the hot sun is out, but in the morning they are open and absolutely beautiful. 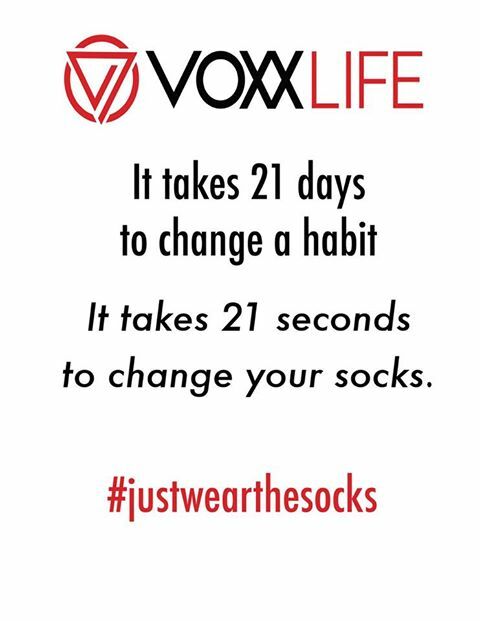 They will grow 6-12 feet in one season. This lovely plant is a member of the Daisy family. It comes in many different and very bright colors. It will do well in a pot or a bed. It will grow to about 12-18 inches tall. 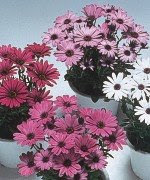 Osteospermum likes full sun and will bloom all season long. Removing the spent blooms will make more blooms appear. This plant is a favorite of mine. Need I say too much about this old favorite? 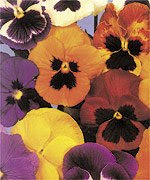 Pansy is a beautiful and colorful plant that comes in more colors than I can count. It is an excellent plant for full sun or part shade. It grows to about 8 inches tall and will thrive in beds or pots. I always think of the flowers as spectators in the front row of my beds! The petunia is an old stand by. It comes in dozens of colors and types. I use the celebrity series for the beds and the wave series for my hanging pots. The celebrity series will grow to about 12 inches tall and very bushy. It will flower over and over again all season long. The wave series will grow from 18 inches to 3 feet long! They are very bushy and full and prolific flowering plants. Petunia prefers full sun but will tolerate light shade. They are easy to grow and care for. 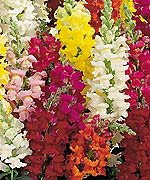 Snap Dragons are a versatile old favorite. They come in many many colors are easy to care for and come in a variety of sizes. 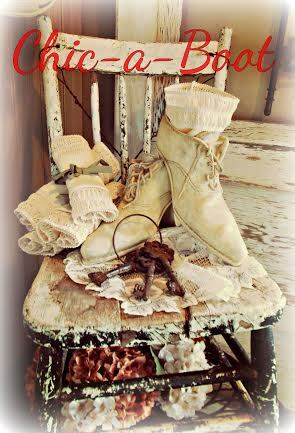 The small ones are about 8 inches tall, the medium ones are about 12 inches tall and the tallest come up to 18-24 inches! They are a compliment to every garden and the colors are just gorgeous! They like full sun or partial shade and are very easy to care for! 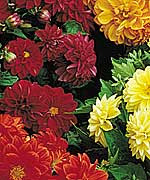 They are a hardy plant that will keep blooming even after the first frosts hit. This plant is a very good basket filler! It will compliment any flower. 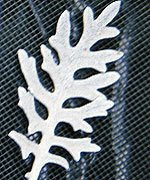 The foliage in the silver will make the colors pop. It is the hanging basket Dusty Miller. Will grow to about 2 feet long and loves full sun to part shade. An easy and very beautiful plant. Sweet Potato is an unusual green plant whose leaves grow in differnent shapes and sizes. It is a good plant for training along a trellis or for hanging baskets. 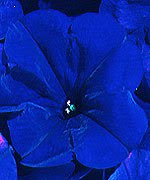 It is related to the morning glory family. Will do best in partial shade but will tolerate the hot sun if necessary. Well there you have it! I am sure I missed a few...but this is the main part of my gardens. Have fun choosing your favorites! See you all back here for Fertilizer Friday!! !